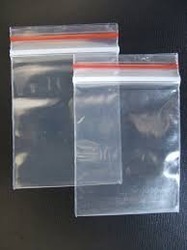 Manufacturer of a wide range of products which include standard slider bags and magic seal bags. Vinayak Udyog is constantly aimed at manufacturing and bringing out the range of Standard Slider Bags that have slider at their end to ease the operation of opening and closing the bag off. 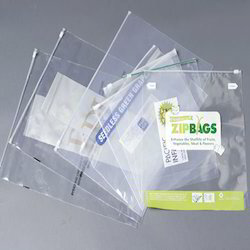 This zipper works effectively for the cause of sealing and preserving goods and hence is in great demand all across the globe. Material PE & PP Monolayer & Multilayer Films. Thickness 50 Micron [200g] to 100 Micron [400g]. Printing Roto & Flexo upto 8 color. Looking for Standard Slider Bags ?